Add a "Test" button — . 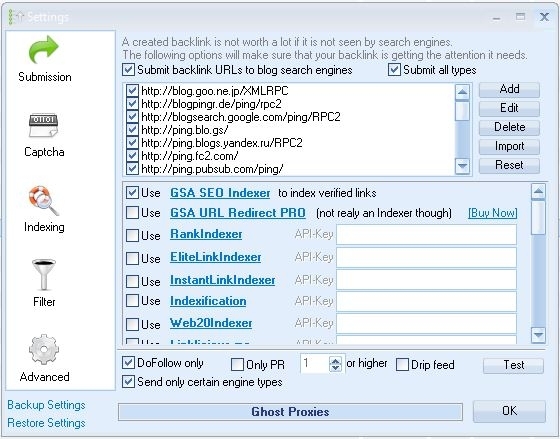 :: GSA SEO & Marketing Forum ::. In Options -> Indexer I would like to have a "Test" button to see that SER is communicating with the indexer (like in the "Captcha" tab). Tested this feature and it didn't work for me. Well what happens if you click the TEST button ? and you have checked services at all? 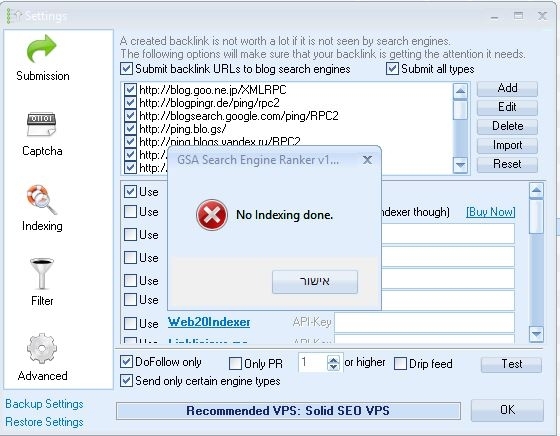 SEO Indexer is something that is not tested here as you would see it working instantly if an url is sent (appears in SEO Indexer gui).